Australian rapper, Iggy Azalea dropped her first music of 2019 along with a video last weekend. The song also serves as the first single off her upcoming sophomore album, In My Defense. The song with the title, Sally Walker produced by J. White features a piano-heavy and ‘twerkable’ beat. Sally Walker is a remix to the popular children’s rhyme ‘Little Sally Walker.’ However, Iggy added her own spin to it as she can be heard chanting “little Sally Walker walking down the street. She didn’t know what to do so she jumped in front of me” before offering some advice. She talks about her haters and boasts about her success over them. Iggy also talks about how unapologetic she is about her success. Her sassy and attitude-heavy lyrics showcase an Iggy who is unbothered by criticism as she is her own number one fan. The Sally Walker video, directed by Collin Tilley, shows a group of ladies dressed in the late ’90s to early 2000s. Edgy outfits with thigh-high boots walking by the side of a road. One of them who is assumed to be Sally Walker crosses recklessly and gets hit by a car and dies. The rest of the video follows her funeral as the ‘Fancy’ rapper gives us a very dark and entertaining funeral procession. Iggy can be seen twerking heavily on the hood of a car as she displays her banging body in a series of outfits. The 28-year-old can also be seen delivering her best dance moves as the funeral procession follows behind her. The video looked very festive despite the gruesome death as we could see a cheering squad and people dancing. 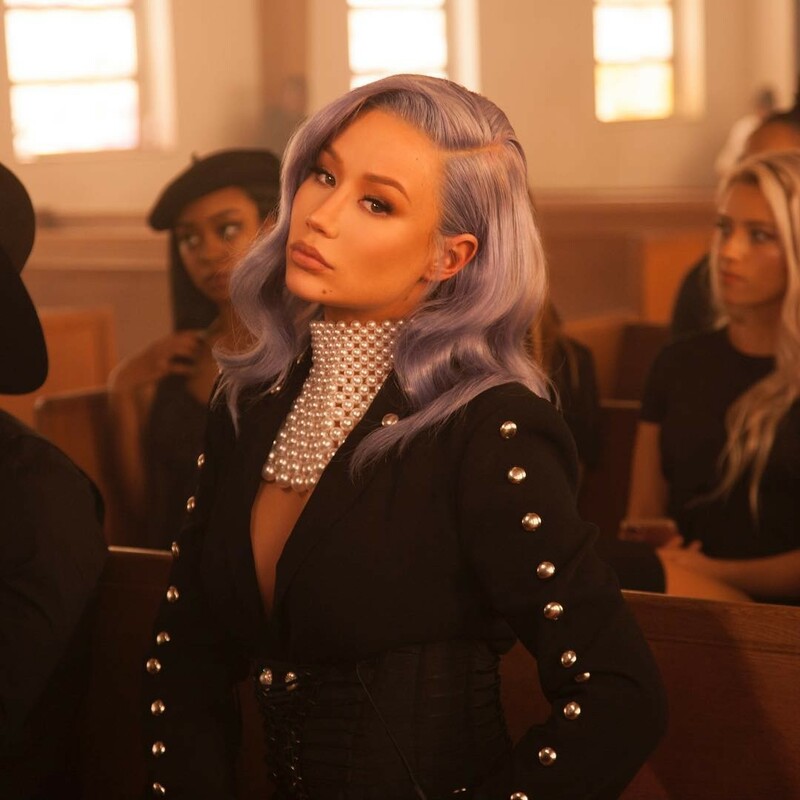 The dark Sally Walker video lightens up at the end as Iggy delivers more upbeat bars. The video features some familiar faces including popular YouTuber, James Charles and famous RuPaul’s drag race contestants, Miss Vanjie, Shea Couleé and Mayhem Miller.